Olivia Benson might just be the most abused character on television, but if we’re interpreting what Mariska Hargitay just said correctly, it’s about to get worse. Hargitay, who has played Detective Benson on the long-running hot TV show Law & Order: SVU since the series inception in 1999, said this season’s finale brings big changes and big emotions — and they are tough ones. “I read the season finale and I was so deeply moved and deeply inspired. I couldn’t put it down… couldn’t stop crying,” Hargitay told E! News at Variety‘s Power of Women: New York event. Another hint that all is not well in Benson’s world is the fact that her therapist, Dr. Peter Lindstrom, is returning to the show. “[Benson] needs help,” actor Bill Irwin told E! at a screening for his HBO movie Confirmation. This does not bode well for our beloved Benson! 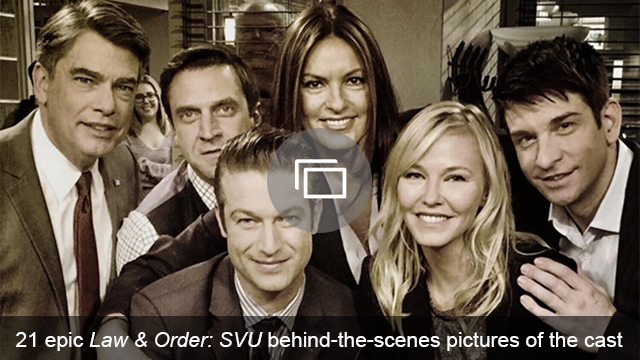 In fact, several familiar faces will be back next season to support Benson in her mysterious time of need, including Detective Munch, played by Richard Belzer.